Our company has become known as the best team of experts for roof cleaning and soft washing in the Tampa Bay Area. We have the skills and know how to get any cleaning job done. We always select the method of roof cleaning most appropriate for your roofing material. 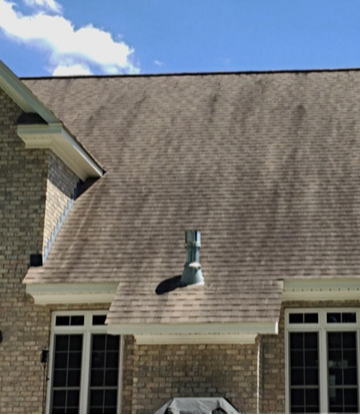 Most important, we recognize that debris and stains must be removed without causing more damage, damage which may lead to more serious long-term roof issues. Most homeowners are unaware that the debris that accumulates on their roof is a contributing factor in higher monthly utility bills. It’s a fact that algae left on roofing material traps heat within attics causing utility costs to skyrocket. Let our team of experts take care of your dirty roof today.